Idea Bubble - News: Famous Limerick Hotspot now online! Famous Limerick Hotspot now online! Dolans Pub is known around Ireland as the music hotspot in Limerick. We designed and developed a strong online presence on top of our Website CMS Product. 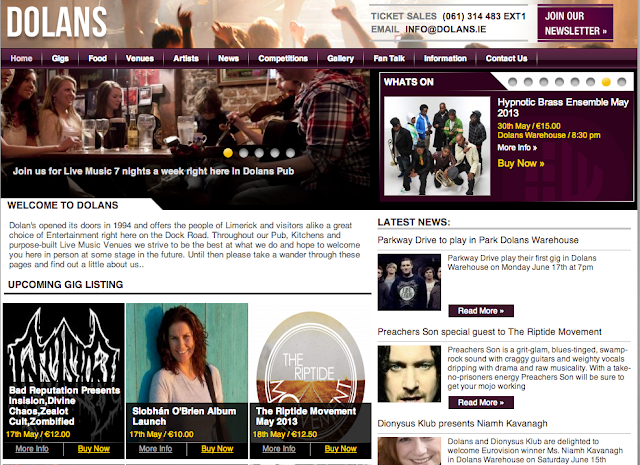 They were delighted to have an online website to showcase their upcoming concerts and events. They also availed of our Newsletter module to send to their website subscribers. Sign up for the newsletter online.